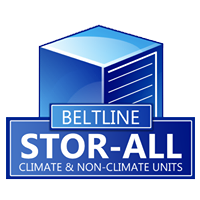 Beltline and Security Stor-Alls strive to have to the most up-to-date and secure storage facilities in town for all of your needs. Implemented into their security systems are things such as: high-resolution cameras, closed-circuit TV monitoring, high intensity outdoor lighting, and access controls. With all of these security measures, paired with excellent customer service and clean facilities, the only thing you need to go the extra mile for is a great personal lock for your storage unit. One of the biggest concerns for self-storage users is that their belongings are kept safe, even with all the security measures that Stor-Alls has to offer, it is still important to get the best possible lock for your unit to keep your mind at peace that your belongings are kept safe. Now there are many different types of personal locks you can use with your storage unit, ranging from keyless, u-shaped padlocks, and disc locks. Of course not all of these could be the right one for you depending on your situation, but there are many factors that play a role in selecting the right storage unit lock. Keyless Locks First we will start with keyless locks, also known as combination locks. This form of lock requires no key to open it, only a combination that you set yourself. Sadly, locking mechanism has more negatives than it does positives. The main positives being, as stated before, it does not require a key. 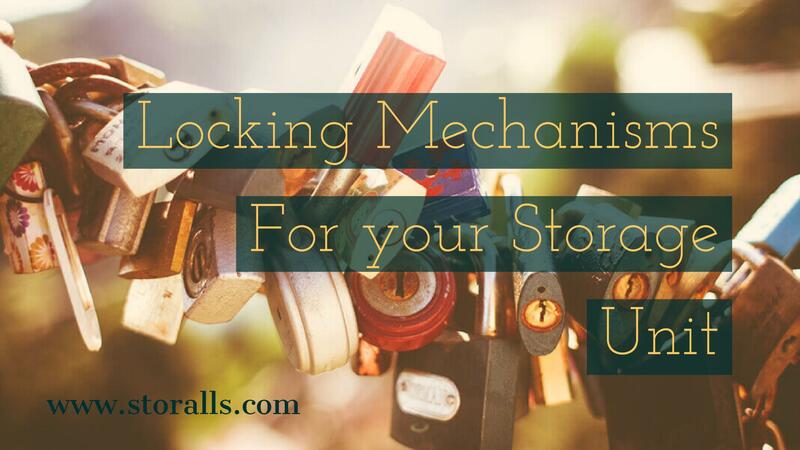 Now since this does not require a key, intruders could easily guess the combination for your lock, or even just cut the lock open with bolt cutters depending on which form of keyless lock you implement into your storage unit security. This type of lock is also not recommended for outdoor use, most are prone to damage from environmental conditions. U-Shaped Padlocks U-shaped padlocks, also known as shackle locks, are a great form of locking mechanism for keeping certain items safe. These types of locks are best used for things like your shed, luggage, or even your gas meter at home; but they may not be the best option for your personal storage unit. Unfortunately, the negatives tend to outweigh the positives again with this type of locking mechanism when used at a storage facility, but only if you go with a cheap option for the padlock. If you opt to spend more money on a much more higher-end padlock, that will definitely aid in keeping your items safe in a storage unit, this is due to the certain types of metal the actual padlock is made out of and the locking mechanism itself. If you decide to get the higher quality and more expensive padlock, be sure to look out for features such as a 5-pin tumbler and a thick shackle. Disc Locks This next type of lock is actually another form of a padlock, but a much safer alternative to the classic u-shaped padlock. As the name states, this lock is in the form of a disc, thus making it much harder to break into with things such as bolt cutters. This form of padlock tends to run more on the expensive side, but with the benefits it has to offer, it is worth the expense. These locks have smaller, curved shackles that make them much more tamper resist than regular u-shaped padlocks. This type was actually developed specifically for self-storage facilities and is considered the industry-standard in maximum security for your storage unit. It takes countless hours of effort and expensive tools to grind off this form of lock in order to break into the unit.